When you think of Orlando, what’s the first thing that comes to mind? For many, it’s a mouse named Mickey. What many people don’t realize, is that there is far more to Orlando than just a mouse. After Disney: The Other Orlando , by Kelly Monaghan, covers everything that many people miss on their visits to Orlando because they are caught up in the mouse trap. As a native to Orlando, I felt if anyone was qualified to review After Disney: The Other Orlando , I was. This book covers everything there is to do in Orlando, well, everything but Disney that is. First of all, let me say that Orlando is a city of many seasons, and I don’t mean the weather. We have our busy, slow, and unpredictable times of the year. For the most part, our busiest times coincide with whether or not the schools are open. Labor Day is one of the slowest days of the year and around Christmas, there is barely room to breath, let alone walk around a theme park. This book seems to cover them all and has a plan for every family. Each activity is broke down into several parts: Before You Come, Getting There/Arriving At/Opening and Closing Times, Price of Admission, Special Events, Good Things to Know About, Your Day At, Best Attractions, and Touring Plans. The touring plans are the most important part for me, because that is what tells you what to hit and when to hit it, to save you from waiting in the really long lines. I didn’t think I would learn that much in the beginning, but after reading a few chapters, I realized, there was more to Orlando than even I was aware. For example, if you want to eat at Mythos in Islands of Adventure, but don’t want to pay to get into the park, you can visit Guest Relations for a dining pass. Guest Relations will put a holding charge on your credit card for a one day ticket for everyone in your party. In return, you all get a dining pass, which gives you access to the park for two and a half hours. After you are done eating, you must return the passes to guest relations, with a receipt from Mythos, within a half hour of paying your check, otherwise your credit card will get charged for one day passes for everyone in your group. When looking over the touring plans, I found them to be pretty accurate for some of the activities. For other activities, I found the descriptions to be a little off. To fully test out the book and to see how accurate it really was, my family took it with us to Legoland Florida. Legoland is the newest theme park to the “Orlando” area and has become quite popular among the younger crowd. I interviewed a few parents prior to my visit and found the reactions to be the same…it’s okay, but not worth the price of admission (currently $75 for adults, and children, ages three to ten, are $65). I don’t want this to turn into a review of a park that I personally found as thrilling as a dentist appointment, so here is what the book said about it and I will tell you if I agree. Book: Most of the choices are fast food and not worth the prices they charge. Dakster : I found this to be accurate, except for the fact that they list the apple fries station as a must hit. Personally, I found it to be a must miss. Book: Similar to the dining options, the shops are no reason to visit the park unless you’re nuts about Lego. Dakster: This is very accurate. Unlike what you find at the house of mouse, there isn’t a neat little gift shop at the end of every ride. I did find some key chains I’ve been chasing for a while though. The touring plans seemed to be well laid out, but misguided. Even in the middle of the day (at least on the day we were there), the longest line I saw was 20 minutes. One ride, the book describes as a “Mummy Returns” for kids. My husband could see how that conclusion was drawn, but still thinks it was a little inaccurate, at best. 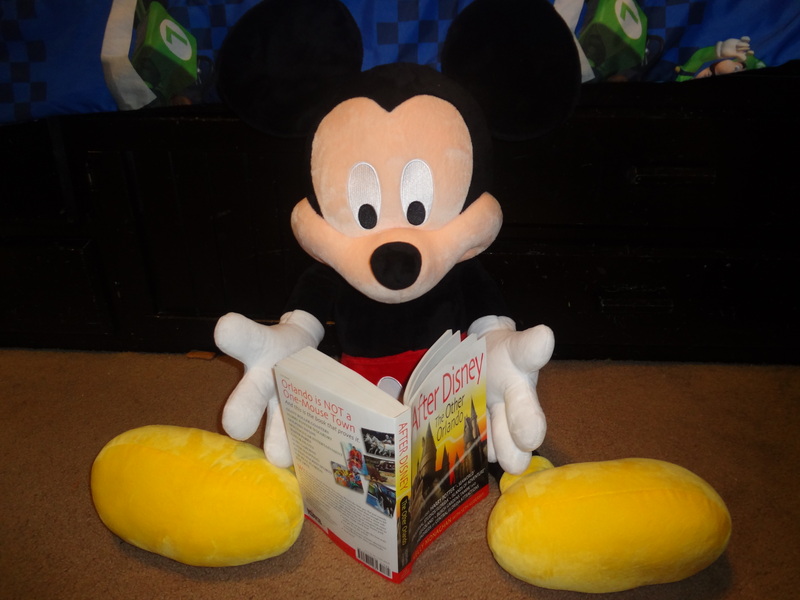 If you are looking for a book to give you some good information on Orlando and you don’t care to read about Mickey Mouse, this is the book for you. 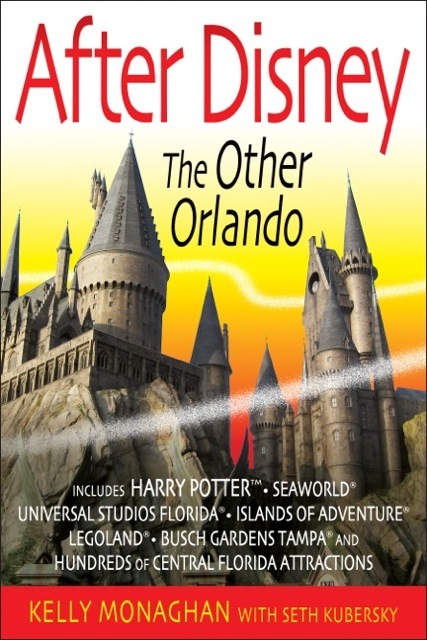 After Disney: The Other Orlando is available on Amazon and select retailers nationwide and retails for $17.95. In exchange for my time and efforts in reporting my opinion within this blog, I received a free review copy of this book. Even though I receive this benefit, I always give an opinion that is 100% mine.